Our Uganda Specials Tours to Bwindi, Kibale and Queen Elizabeth National Parks, have had 100% success rates in seeing Green-breasted Pitta, African Green Broadbill and Shoebill. See the trip reports here. There's an extension to Rwanda's Nyungwe Forest to see Red-Collared Mountain Babbler and to Northern-Western Uganda to explore the birds of Mabira, Murchison Falls and Budongo's famous Royal Mile. Scroll down for the leaflet with tour details. Uganda offers over 1000 species, the highest concentration of birds in Africa, and is the most accessible place to see the legendary Shoebill. To find it, we'll embark a small boat and explore the vast swamps of Lake Victoria. 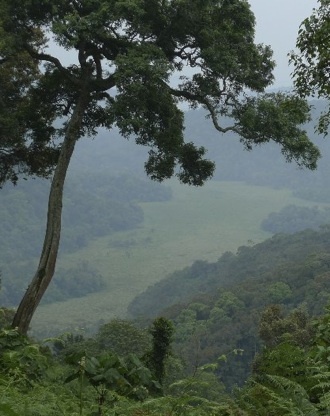 Bwindi Impenetrable National Park, with its misty peaks and fern-loaded forests, is an amazing biodiversity hotspot that hosts 24 of Uganda's 26 Albertine Rift endemics. It also offers one of the greatest wildlife experiences on earth: the opportunity to come face to face with one of our closest relatives, Gorilla, in its natural habitat. 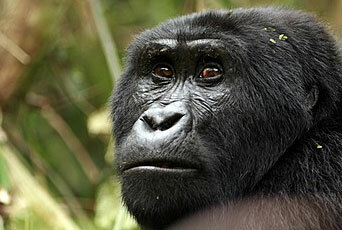 Our tours allow a day for those who wish to track gorillas, while others can do the extra birding. 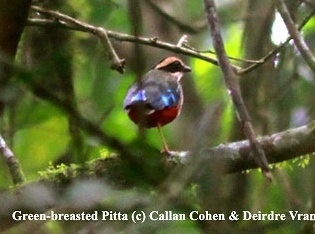 At lower altitude, pitta-like Short-tailed Warblers and Kivu Ground Thrushes skulk in the mossy undergrowth. African Grey Parrots fly overhead while Chimpanzees shriek from deep in the forest. Higher up, the cloud-swathed Virunga volcanoes (of Dian Fossey fame) loom in the distance. Here we'll search for the near mythical African Green Broadbill and Grauer's Rush Warbler. It is even suggested that at least one undescribed species might even be lurking in the park! The forests of Kibale National Park host one of Africa's most desired species: the very secretive Green-breasted Pitta. On our tours, we allow three mornings to search for it. 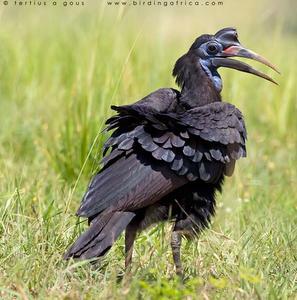 Our success rate is second to none, with all participants having seen the bird on all our Uganda Specials Tours. See the trip reports here. 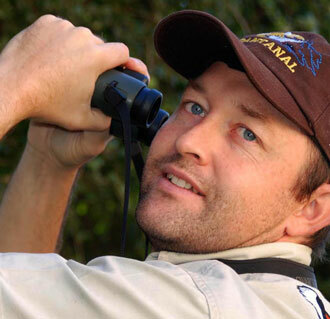 Michael has led dozens of tours in Southern, East, Central, West and North Africa and his experience in locating birds on just the softest of calls or briefest of views impresses those who have travelled with him (see Client Comments). Gorilla at Bwindi on our Uganda Birding Tour © Callan Cohen. Mubwindi swamp © Callan Cohen & Deirdre Vrancken. Uganda is a paradise for butterfly watching © Callan Cohen. 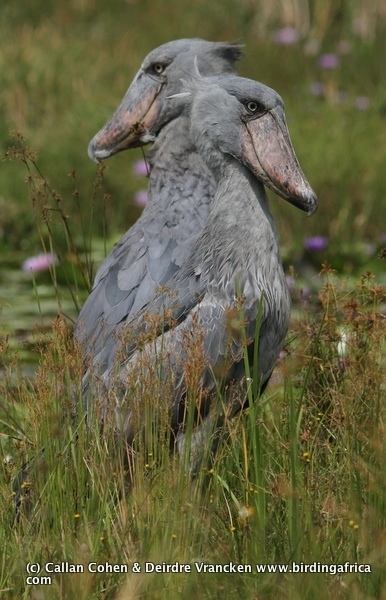 Shoebill seen at Mabamba swamp on a Birding Africa Tour © Callan Cohen. 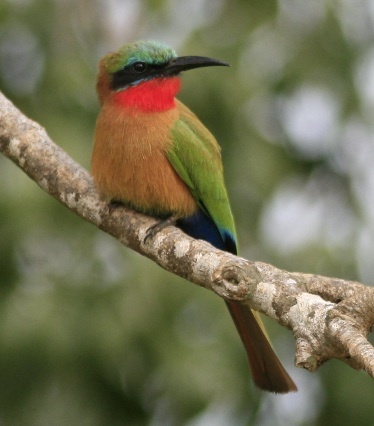 Red-throated Bee-eater seen with Birding Africa © Callan Cohen www.birdingafrica.com. Focus For keen birders and mammal enthusiasts. Designed to see as many as possible endemic birds, but while on the walks we spend a lot of time looking for other wildlife such as mammals (including several species of primates) and butterflies. We can also customise any itinerary to suit to the keen birder, the wildlife enthusiast or both. Fitness A small degree of fitness is required. The few walks are generally in relatively flat areas with occasional small inclines. The terrain during the optional gorilla tracking can never be predicted and can be very steep. Timing Most of our Rwanda tours take place during December - January or July - August. Climate Cool at night in the highlands, warm to hot in the lowlands. 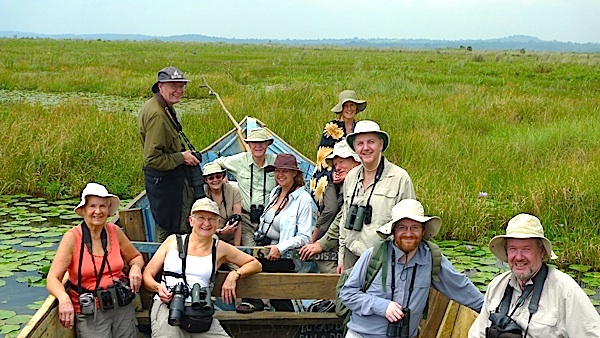 Group Size Maximum 6 participants on the Uganda and Rwanda birding tours in July. Grauer's Rush Warbler, Green-breasted Pitta.